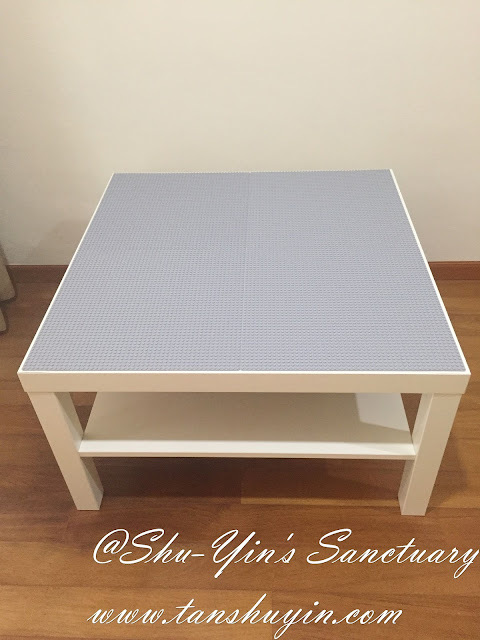 Shu-Yin's Sanctuary: When Lego Meets Lack - DIY Lego Table Hack With Storage! 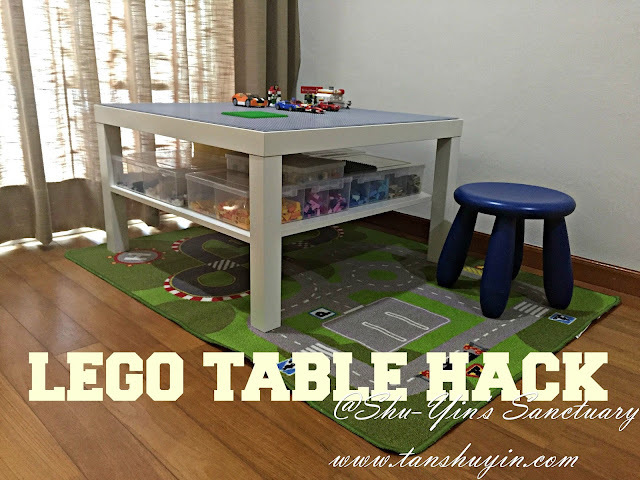 When Lego Meets Lack - DIY Lego Table Hack With Storage! 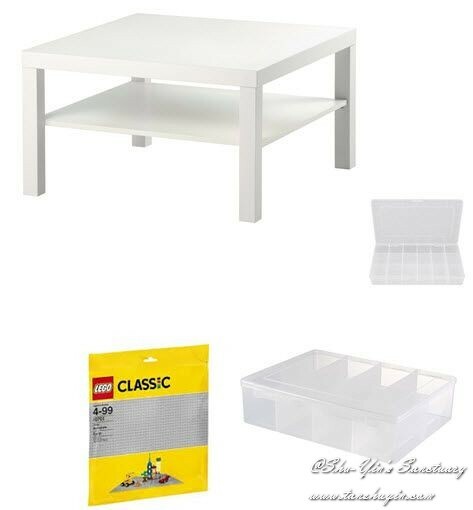 I've been wanting to build a Lego Table for my kids since forever. I googled and was so inspired when I saw this wonderful idea here and here. But I was procrastinating it for years. 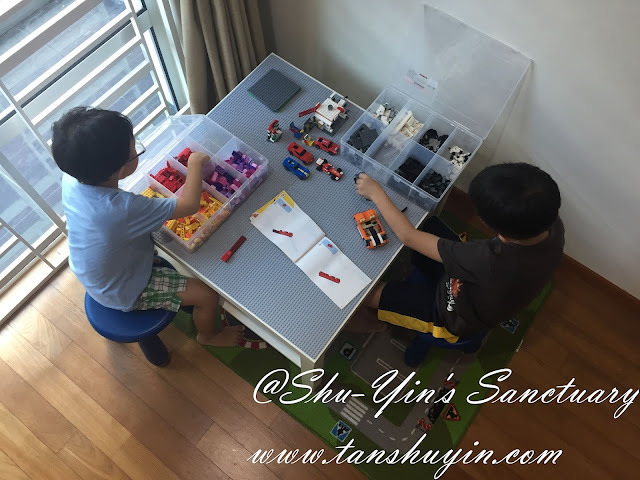 As of now, my 2 older boys have nowhere to actually play their Lego. 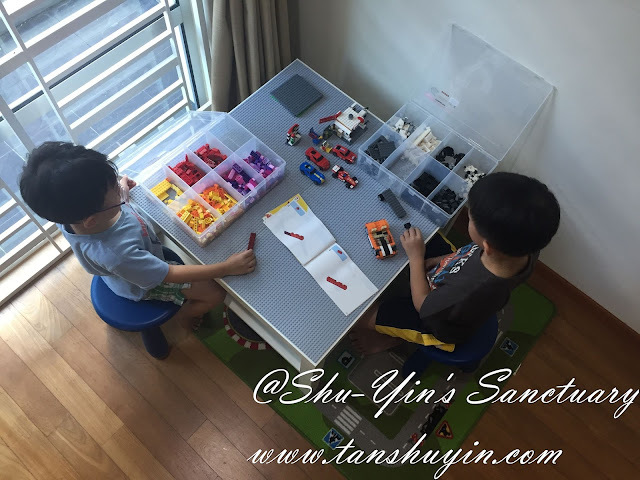 They either play it on the dining table, which has limited space, or on the floor which I am certain pieces will get lost or even worst, somebody stepping on Lego pieces. And I am pretty certain parents whose kids play Lego knows how painful it is when you step on Lego pieces on your bare feet! 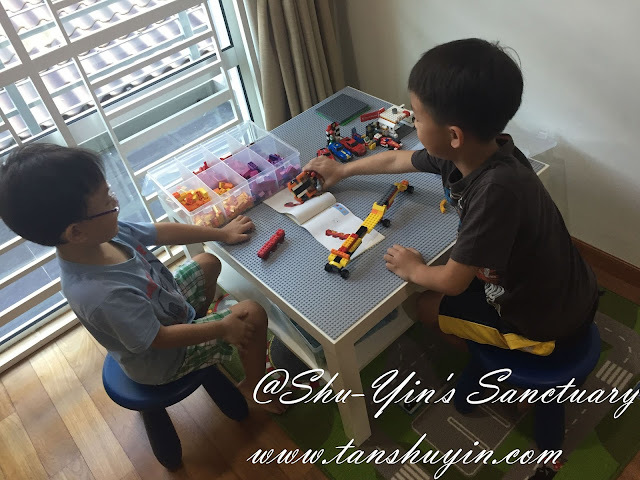 Shern had a Lego-themed birthday when he was 6yo, and now his brother who is turning 5 is also a fan of Lego now. And so I know I needed to get my bum moving to finally do something about it. I'd actually bought this Ikea's Lack Coffee Table in white when we first moved into this current house. I chose this smaller square Lack table because the larger rectangular Lack table is too big for our place. I think I got it for below RM100. And so I started this little project of mine. The things that I used to build this Lego is quite minimal. I got the Ikea's Lack table from Ikea of course. 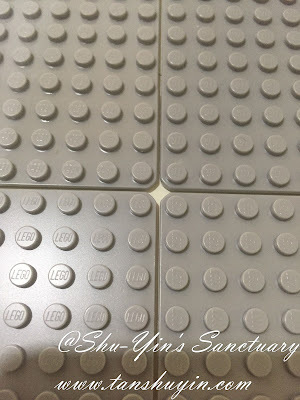 And the Lego Baseplates I got it online from Mighty Utan at 10% discount. This is the most expensive thing for this little project. As for the transparent boxes, I got it from Mr. DIY shop. Firstly, of course you need to assemble the Ikea's Lack table. I assembled it myself without any problems. All I needed was a screwdriver and a hammer and I got it assembled in about 1/2 hour. And then take the Lego Baseplates and join them together to make 2 X 2 Baseplates. TIP: Please don't push the Baseplates together too tightly. 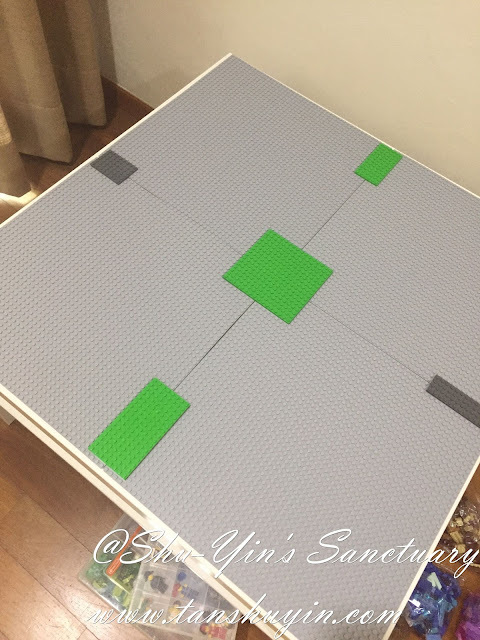 For a more accurate spacing, please use some Lego bricks to see where it should go and the Lego bricks will connect properly between the plates. 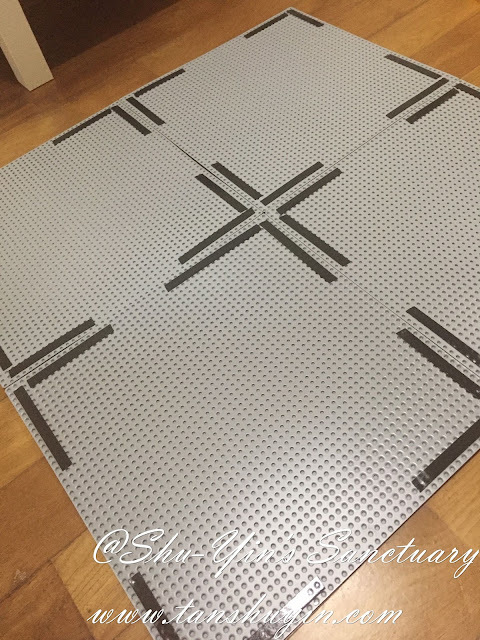 Once secured with the Lego bricks for correct spacing, flip the Baseplates over. 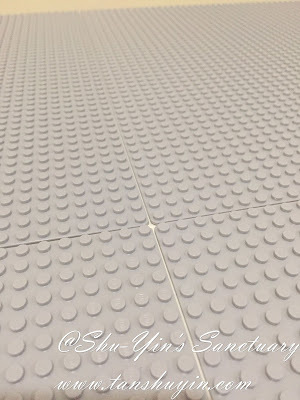 You will see there are tiny gaps in between the Baseplates. 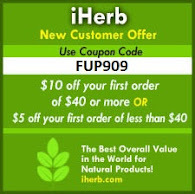 Like the photos below. I used double sided mounting tape to secure the Baseplates onto the Lack table surface. 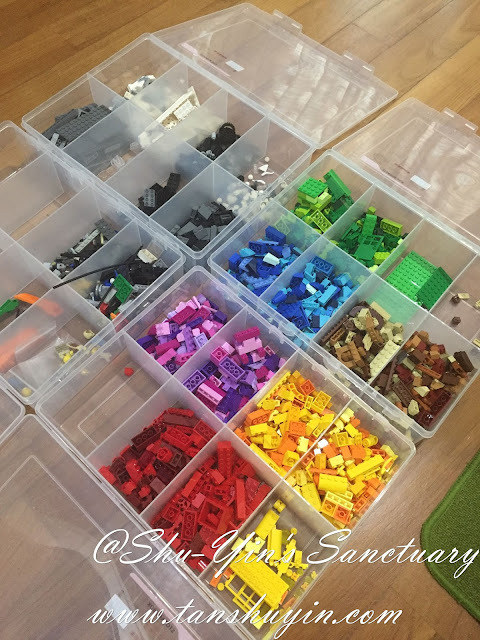 Next up, I filled up the Large Transparent Boxes with their Lego bricks. 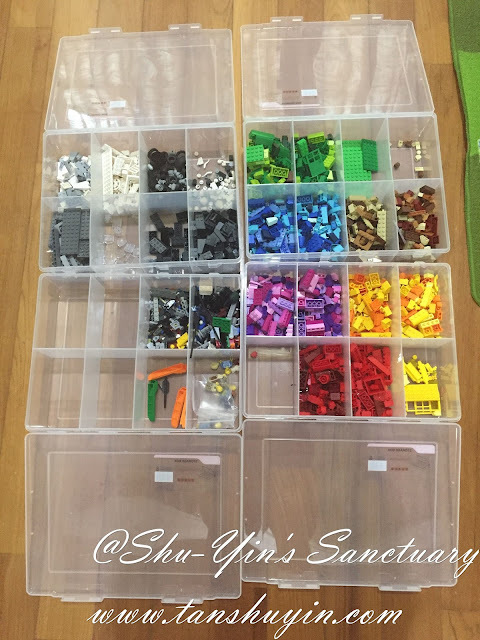 I sorted them by colour and sizes. But it is up to them on how they like to separate them. They will figure them out as they go. 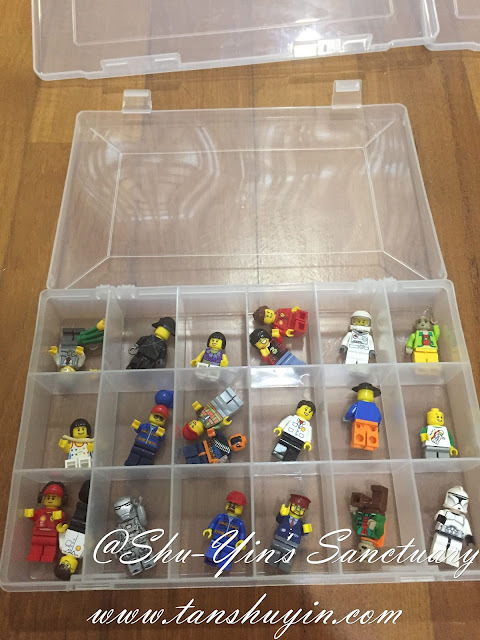 And for the time being, I used the Small transparent compartmental box to store their Lego figurines. This is a temporary solution. I will be doing another mini project on how to store their Mini Figurine. Stay tuned. But this works for now. 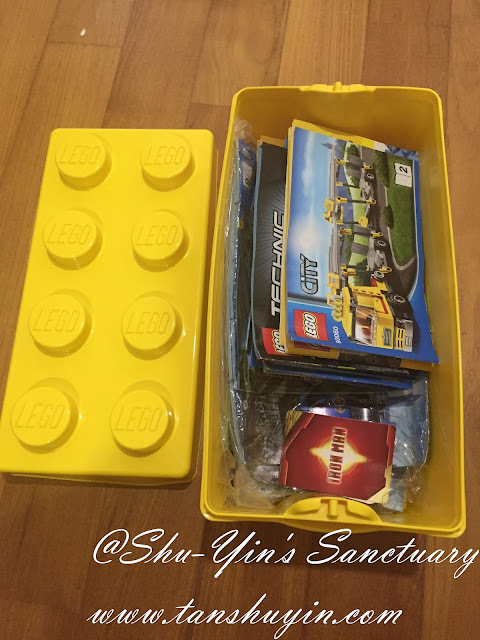 I have a Lego container which I used to store all their Instruction Booklets, should they like to refer them again. All the boxes can fit nicely on the shelf under the table. Nice and neat! 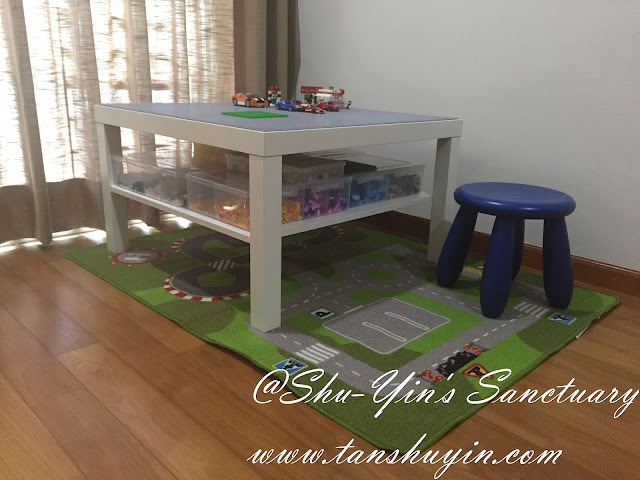 I placed their Ikea Rug and 2 Ikea Mammut stools there their little Lego corner is complete. 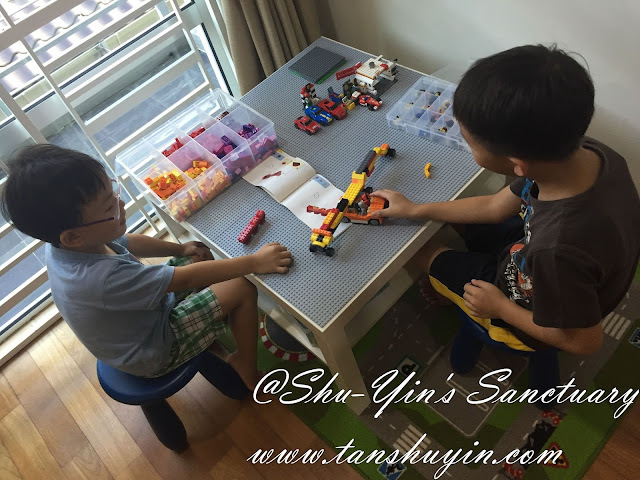 Shern & Khye love playing with their Lego now. 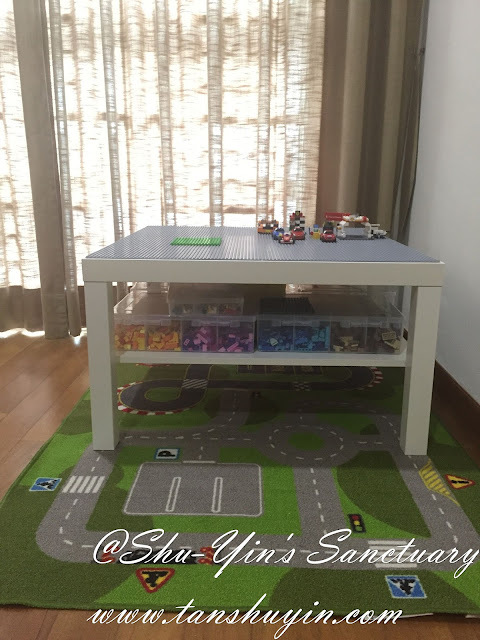 With this Lego corner done, their Lego now has more play in it than ever! And best of all, all their Lego is now contained within this little corner! Melaka With Kids: What We Did In Melaka!